We offer a range of options to help you. In the event of a dental emergency call us straight away. We offer a range of treatments using the best of modern dentistry. Family and cosmetic dentist located in Garland, TX and surrounding areas in Richardson, Plano and Dallas. Our office provides a wide assortment of services: teeth whitening, general hygiene, periodontal (gum) treatment, white fillings, crowns, bridges, inlays, onlays, complete dentures, partial dentures, root canal treatment, extractions, implant-supported crowns, and total smile design. We provide comprehensive treatment plans that are individualized for each patient. We also offer alternative treatment options to fit each patient’s specific needs and goals. We understand that some people are apprehensive about dental work. We will take the time to listen to your concerns and answer all of your questions. During your visit, do not hesitate to let our caring team know how we can make you comfortable. Our greatest reward comes from changing our patients’ quality of life, and our goal is to establish a rewarding and lifelong relationship. We care about the health, as well as the beauty of our clients’ smiles. Our office exists to serve the people we have dedicated ourselves to – our patients. We are committed to create an environment of honesty and professionalism, where patients will feel comfortable, cared for and welcome. We strive to make every interaction you have with our office a positive one. All patients will be aware at all times of the quality of care they receive and the sincere concern of the staff for their well being – we strive to “Treat patients like family”. We assure you, the patients of our practice, that we will constantly improve our patient care and service and strive to offer the highest quality dental treatment. You, the patient, should feel confident that the treatment we provide is in your best interest and fits in with your preferences, lifestyle and monetary investment. We commit to offer full explanation of all your dental needs before and during treatment and will always be available to answer any questions you may have. We respect your privacy of dental and health information and strictly follow HIPPA regulations and guidelines. We are committed to provide high quality, compassionate care through open communication and respect for your concerns. We are passionate about partnering with our patients for their dental treatment and preventive care. 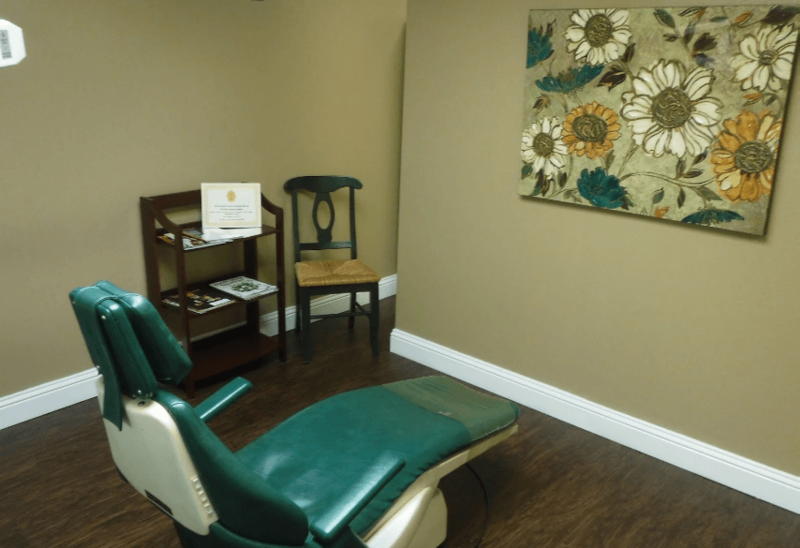 At Duck Creek Dental, we work as a team to provide each patient complete and personalized attention in a relaxing, professional and inviting atmosphere. Dr. Govind Hariharan is a very conservative dentist, and will offer numerous treatment options. During your visit, we provide a complete and thorough exam, including oral cancer and gum disease screenings, at no additional charge. Our office provides a wide assortment of services: teeth whitening, general hygiene, periodontal (gum) treatment, white fillings, crowns, bridges, inlays, onlays, complete dentures, partial dentures, root canal treatment, extractions, implant-supported crowns, and total smile design. At Duck Creek Dental, we strive to provide the quality dental care you deserve. In addition to being highly trained, our team consists of experienced parents who understand the tender, patient and loving approach needed when working with children. Emergency calls are promptly answered. My family and I have been going to Dr. Govind for the last ten years or more. He and the staff have always been very professional, cheerful and kind. He monitors our dental health very closely ie; keeping an eye on old fillings etc. and at times he has referred us to specialist for special cases that needed attention. We have confidence in his skills and find him to be a very competent Dentist.